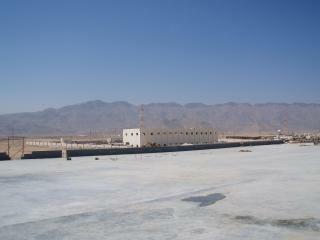 RADCON #7 for Veolia desalination plant in Oman. The Sharqiyah Independent Water Project is a $173 million desalination facility, the first of this kind in the country. RADCON Formula #7 has been selected for treatment of its water holding areas spanning some 60,000 sq meters. The consultants from Mott MacDonald in Oman were understandably concerned with potability characteristics of the bidding waterproofing products and RADCON #7’s approvals from Singapore, Australia, Brazil, Spain and Portugal spoke for themselves.